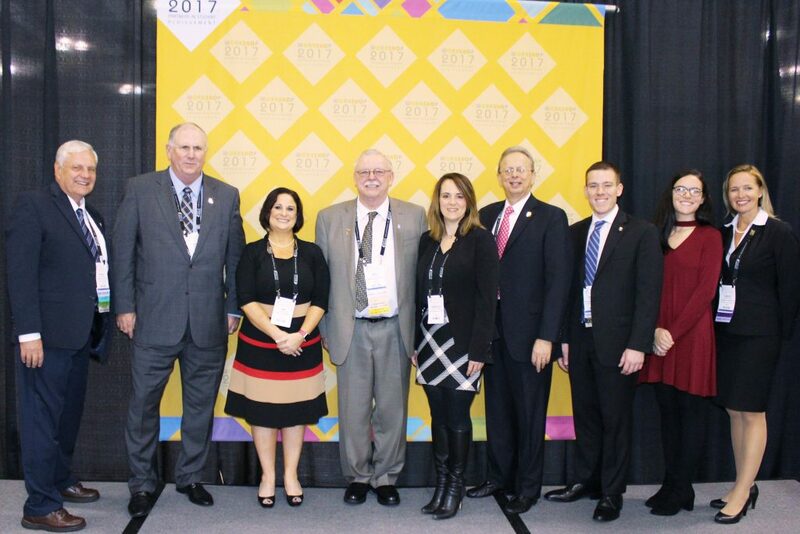 Workshop 2017, held from Monday, Oct. 23 through Thursday Oct. 26, attracted more than 8,000 school board members, school administrators, education industry vendors and assorted guests. 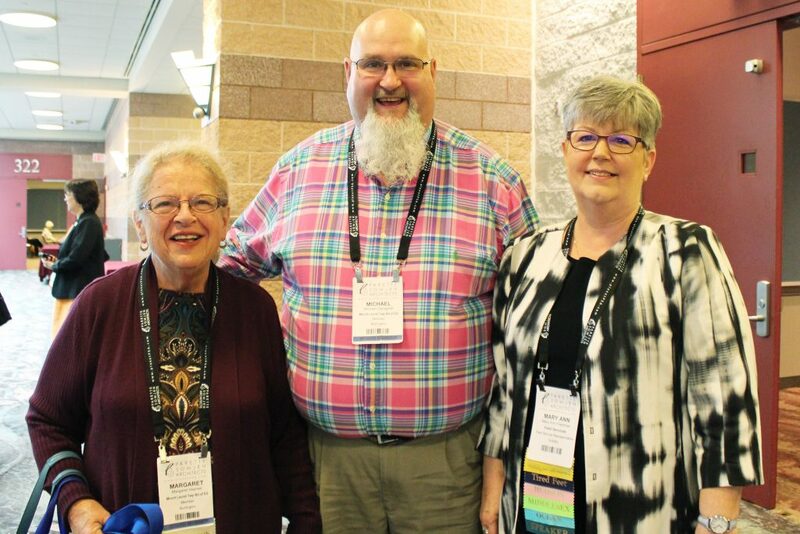 Attendees learned strategies at an array of training program to become better leaders; networked with other school leaders; and watched New Jersey students perform on the stage and in a student innovation competition. 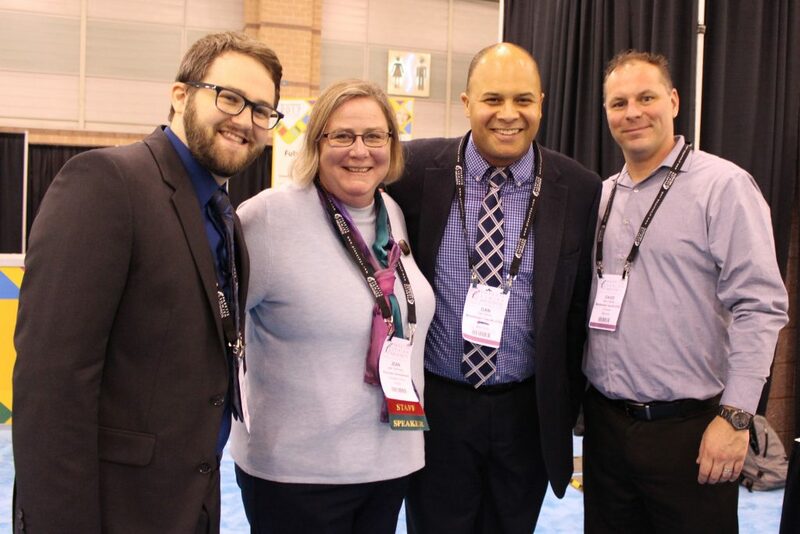 Here are some photographs from New Jersey’s premier education conference. 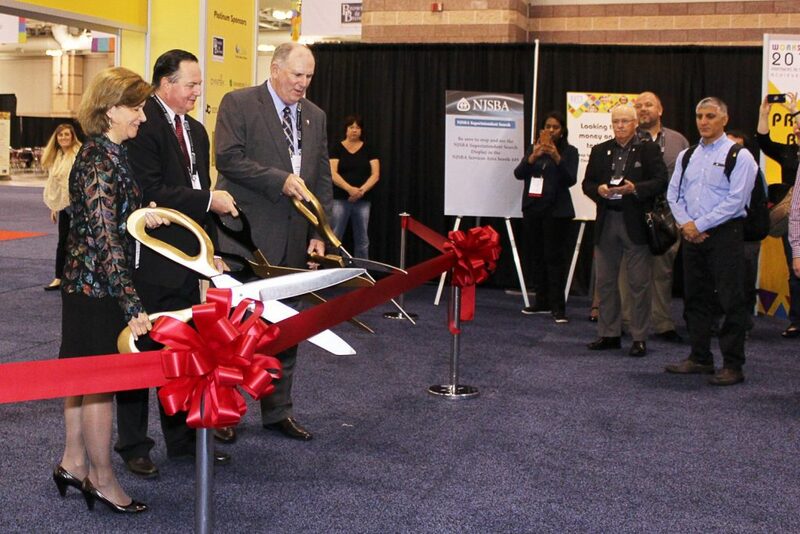 The ribbon-cutting to officially open Workshop 2017 included, left to right, Susan Young, president, New Jersey Association of School Business Officials; Dr. Michael Kuchar, president, New Jersey Association of School Administrators; and Dan Sinclair, president, New Jersey School Boards Association. Left to right: Margaret Haynes and Michael Gallagher, members of the Mt. Laurel Board of Education, with Mary Ann Friedman, NJSBA field service representative. 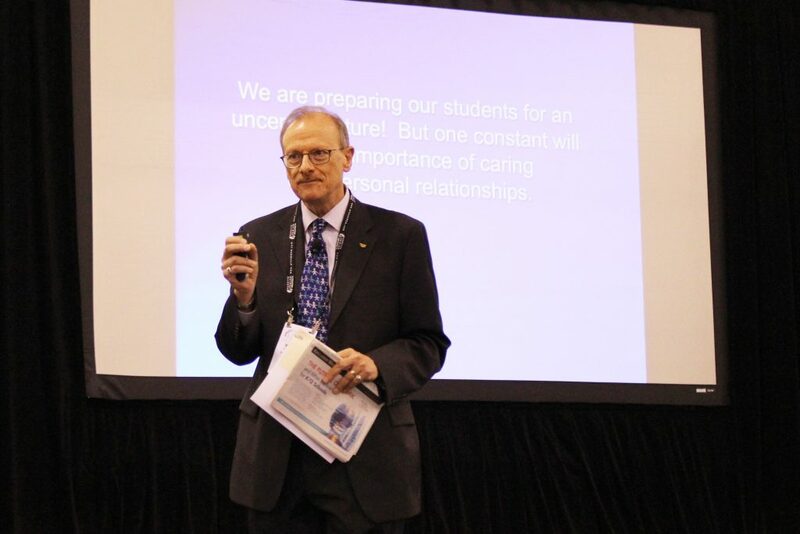 Keynote speaker Dr. Maurice Elias of Rutgers University spoke on student social-emotional and character development. 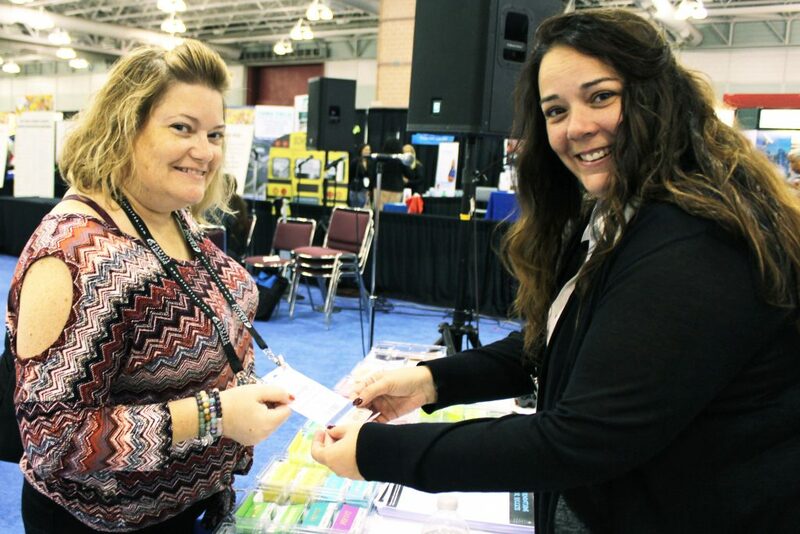 In the County Café, Jennifer Montone, from the Burlington City Board of Education (at left) with Marcia Lavigne, NJSBA county activities coordinator. 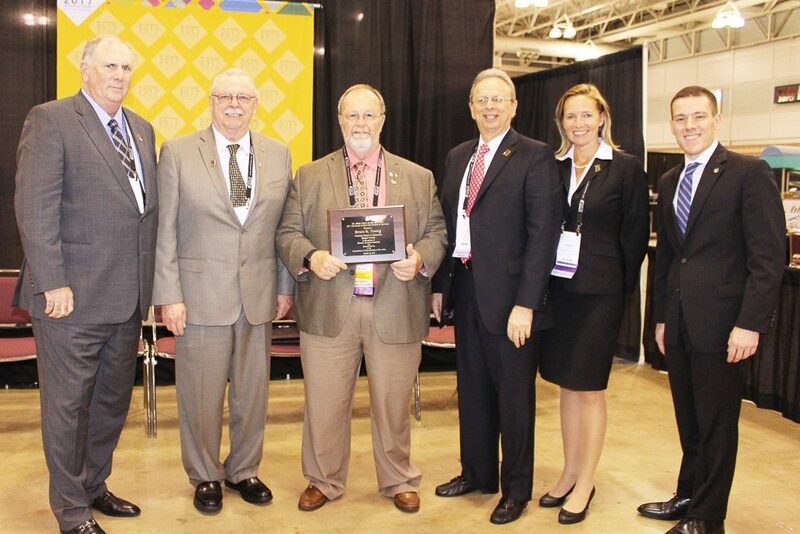 Left to right: Don Webster Jr., NJSBA immediate past president; Dan Sinclair, NJSBA president; Amy Andersen, 2017-2018 New Jersey State Teacher of the Year, high school American Sign Language teacher at Ocean City High School; Mike McClure, NJSBA vice president for finance; Kimberley Harrington, NJ education commissioner; Dr. Lawrence S. Feinsod, NJSBA executive director; Brandon Pugh, NJSBA vice president for legislation/resolutions; Elizabeth Bach, senior at Ocean City High School studying ASL, who signed the remarks of Amy Andersen for the audience; Christy Tighe, NJSBA vice president for county activities. 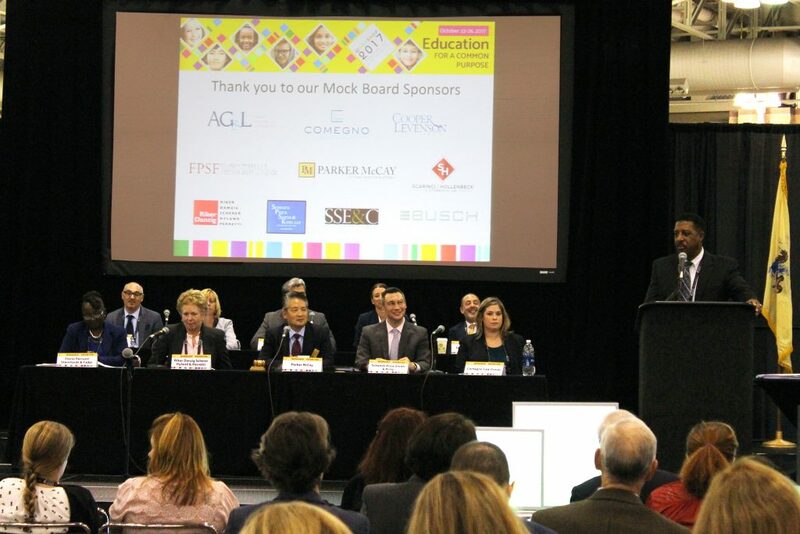 The Mock Board meeting, featuring several school attorneys, is a perennial favorite. 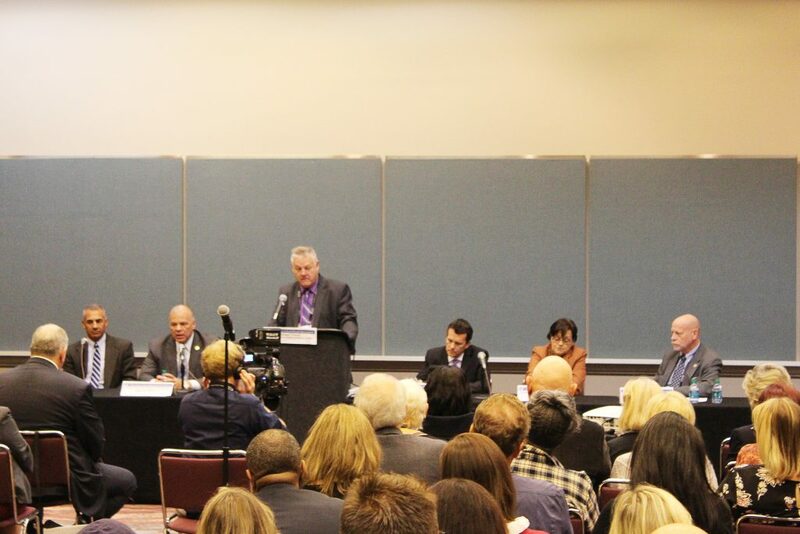 Carl Tanksley, NJSBA director of legal and labor relations services, moderated the panel. Legislators who participated in NJSBA’s Legislative Update included, left to right, Assemblyman Jack Ciatterelli, Senate President Stephen Sweeney; Mike Vrancik, NJSBA director of governmental relations; Assemblyman Declan O’Scanlon; Assemblywoman Patricia Egan Jones and Assemblyman James Kennedy. Assembly Majority Leader Louis Greenwald also participated in the program. 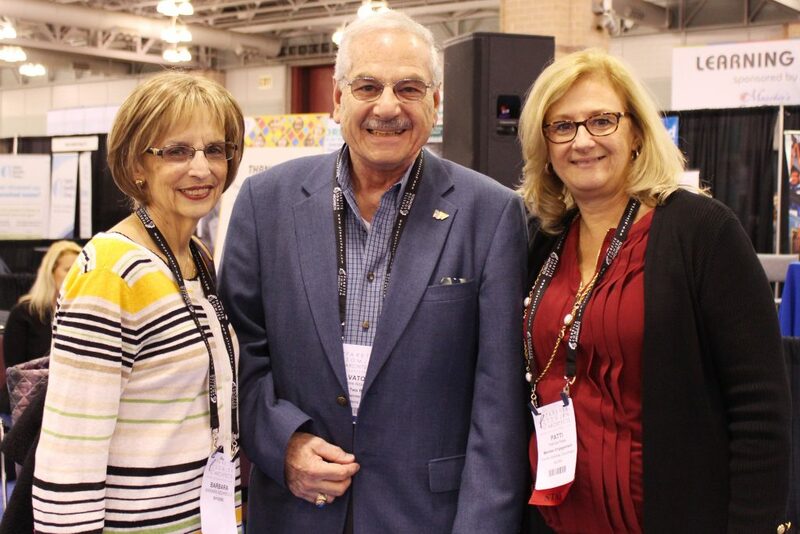 With Patricia Rees, NJSBA county activities coordinator (at right) are Sal Azzarello of the Hanover Township board and his wife Barbara. 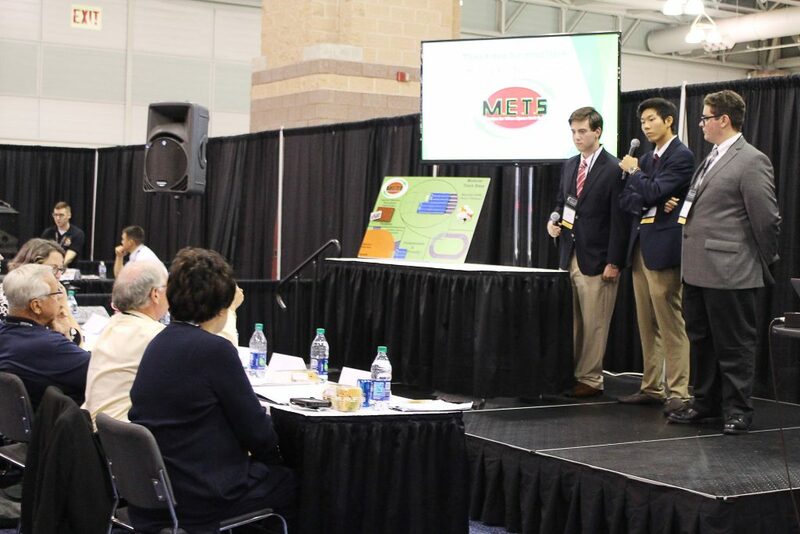 More than 30 teams participated in this year’s popular STEAM Tank Challenge, a student invention contest. 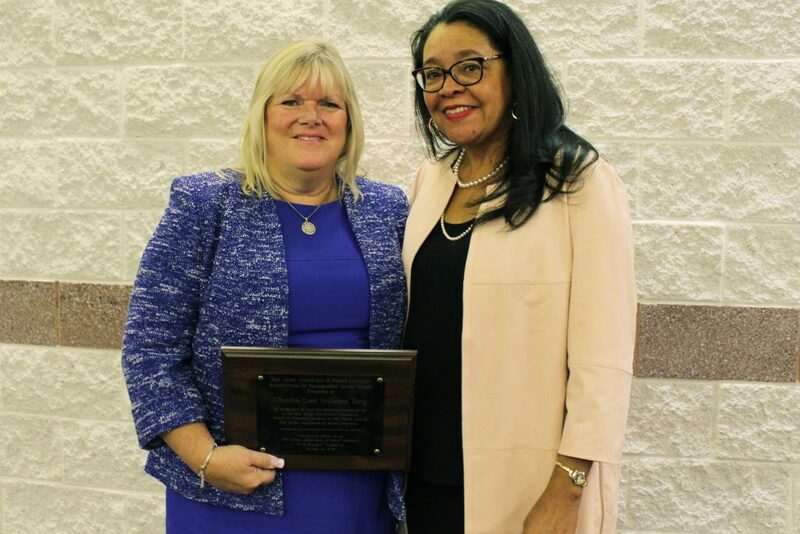 At Thursday’s School Law Forum, Cherie Adams, a veteran attorney with Adams Gutierrez & Lattiboudere and a member of the Belmar school board, received a distinguished service award from the New Jersey Association of School Attorneys. She is at left, with Hope R. Blackburn, the organization’s president.